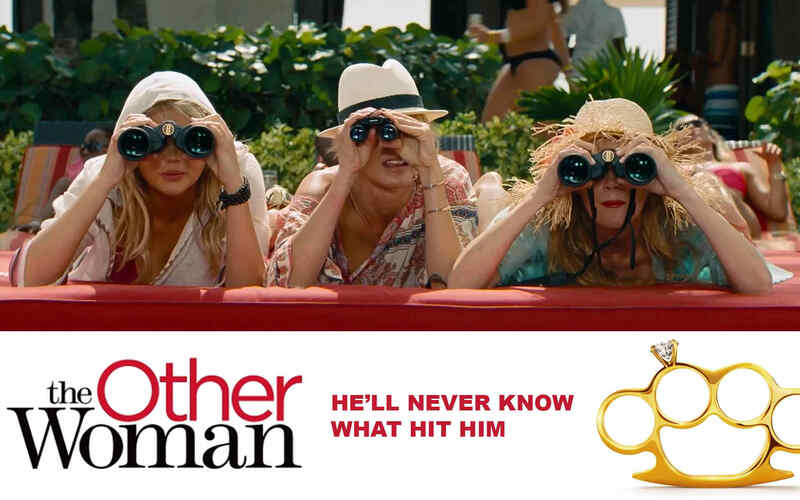 I saw “The Other Woman,” and I have no reason to be ashamed. I enjoy a good dramatic treatment of marital fidelity against man’s programmed propensity to populate. I sat on the edge of my seat waiting for the cinematic madness. Mark King (Nikolaj Coster-Waldau from “Game of Thrones”) is your average, extraordinarily good looking, enterprising guy who seeks to develop new relationships with every woman he meets. While his wife, Kate (Leslie Mann from “This Is 40”), holds down the family fort in Connecticut, Mark advances into Carly’s (Cameron Diaz from “The Counselor“) territory in New York City. Carly does not know that Mark is married until she decides to surprise him at his Connecticut home. Kate is crushed, and she finds it easier to confront Carly than her husband. The two become odd friends and bond further when they find out he is also seeing Amber (Kate Upton from “The Three Stooges”). The two bring Amber into their Mark King hater club and plot ways to get back at him. You could see all this movie magic in the trailer, but what you could not see were the innovative ways the filmmaker dealt with this dilemma. Actually, all the fresh and evocative ways to look at this situation were also cut from the movie. All that was left were the cliché’ derivative elements and a telegraphed ending. I walked out of the theater longing for the depth and character development of an Adam Sandler movie. At least there was a bit with a dog and some old-fashioned “Three’s Company” kind of misunderstandings. Cameron Diaz’s character did find true love in a beach house. She fell in love with the beach house, and the guy who lived there smiled at her, and that’s all it took. This was supposed to be a comedy, and except for that dog thing, I never laughed. Director Nick Cassavetes has said he considers “The Notebook” to be his worst film. I think he needs to reconsider that statement. There are pretty girls in this movie, but at my age that only keeps my attention for about five minutes. So for those first five minutes I have to give this movie 1 star out of 5. And by the way, I give those commercials that goof on “The Notebook” rain scene 4 stars out 5.